Need cost effective graphics for your show or event? At First Colour, we’ve got you covered. We can provide full site surveys of any proposed project, including measurements on stands, as well as advice on the best materials to use for the best possible value, execution, and display. 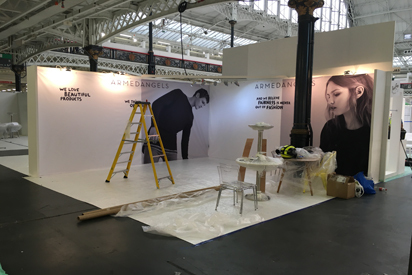 If you just need graphic panels to fit your existing display scheme, then we’ll make sure to ask the right questions to guarantee that building your display will go without a hitch. If design is required, our team of graphics experts are at your disposal to create a design concept that maximises the impact of your stand and conveys your marketing message quickly and memorably. 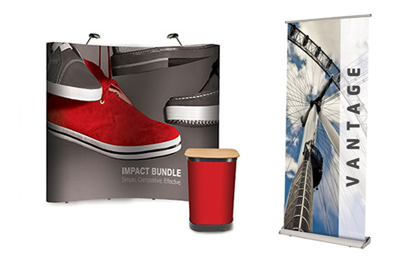 In addition, we can provide ideas to increase visitor numbers to your stand, and also develop printed collateral and other items to increase engagement with your prospects. From simple table top models, to fully customised floor models and any additional printed collateral you might need, we can advise you on the most appropriate solution to meet your needs. Our experienced and talented installation team can deliver and install your printed graphics anywhere in the UK. No job is too big or too small. Up against a tight deadline? Left things to the last minute? We provide an express same day service for your urgent jobs, so you’ll have your graphics right when you need them. Need a quote for your Exhibition Graphics printing project? - Click here to request yours today! Can’t Find What You Need? Want to request a sample pack? Want to find out more about our quality assurance and eco-friendly printing? Please call us on 0207 636 2571 or contact us to find out more!